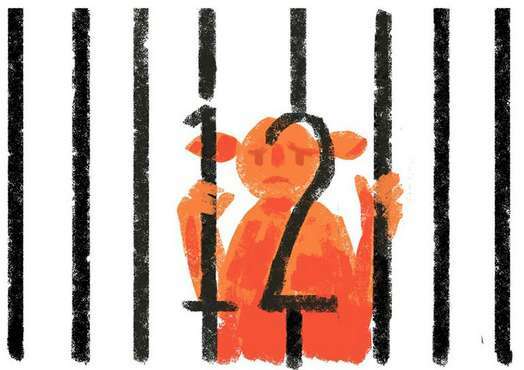 One in every four people detained in Indonesia is a child. 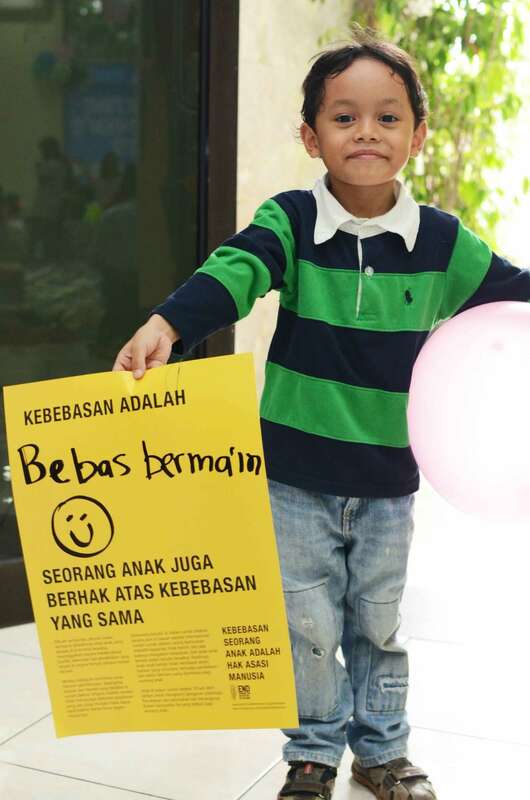 The Global Campaign launched in Indonesia by holding a booth at the Child Rights Day event as organised by LBH Jakarta. 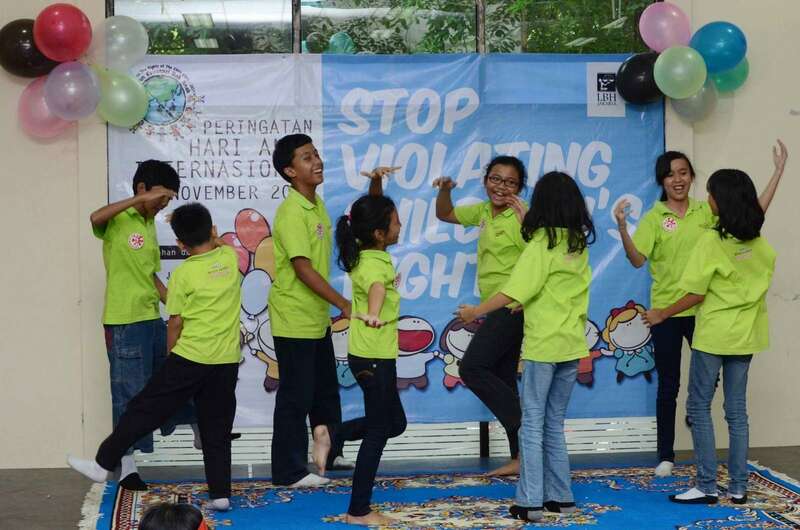 Materials from the Global Campaign were handed out as well as activities aimed at assisting children to celebrate and appreciate their full access to rights in Indonesia. 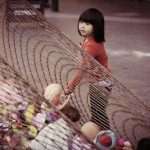 Many of the children who attended the event came from communities whose rights were being violated, such as their rights to practice religion, rights to freedom and rights to nationality. 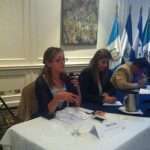 During the event children and their parents were asked to express what they felt the meaning of freedom was to them. Freedom is kebebasan in the Indonesian language. 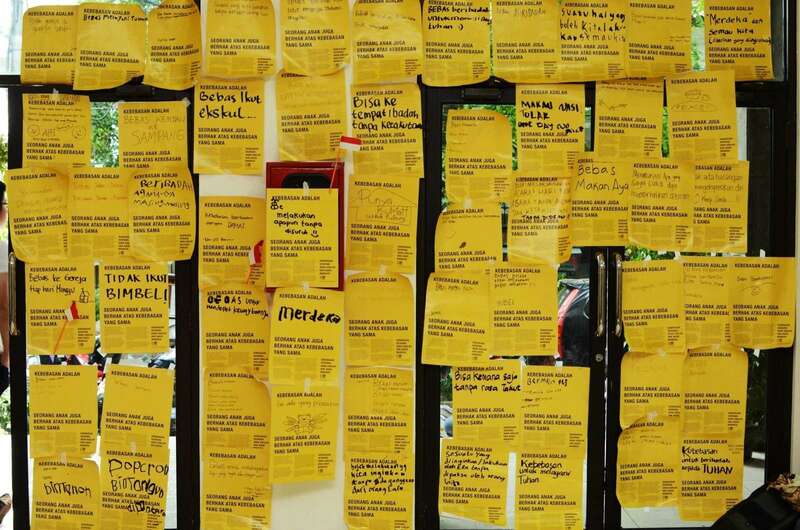 Once finished all the posters were collated to create a wall with the aim of sharing their idea of freedom with others. 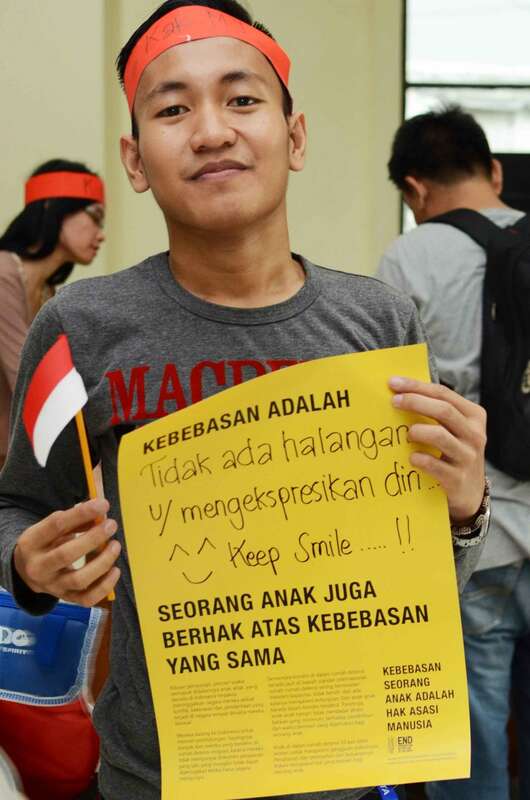 Suaka, the civil society network working on rights for migrants, lead the campaign in Indonesia with plans to extend the event into a dedicated focus month.